With pizza shops popping up left and right, consumers have more options to choose from than ever before. From Neapolitan to Chicago and New York style pizza, each business brings its own unique flavor to this popular dish. How are you going to set your pizzeria experience apart? Create marketing tools for your pizza restaurant that enhance the dining experience and inform your customers what you have to offer. Whether you need a pizza menu, coasters, rewards cards, pizza slice shaped key tags or pizza gift cards, we have you covered. These amazing custom products will help take your pizza shop to the next level! Bring new customers in the door with pizza gift cards! This cost-effective marketing tool will help introduce customers to your brand and keep them coming back for another slice. Everyone loves free food! Once you get your customers in the door, it's time to give them a one-of-a-kind experience. 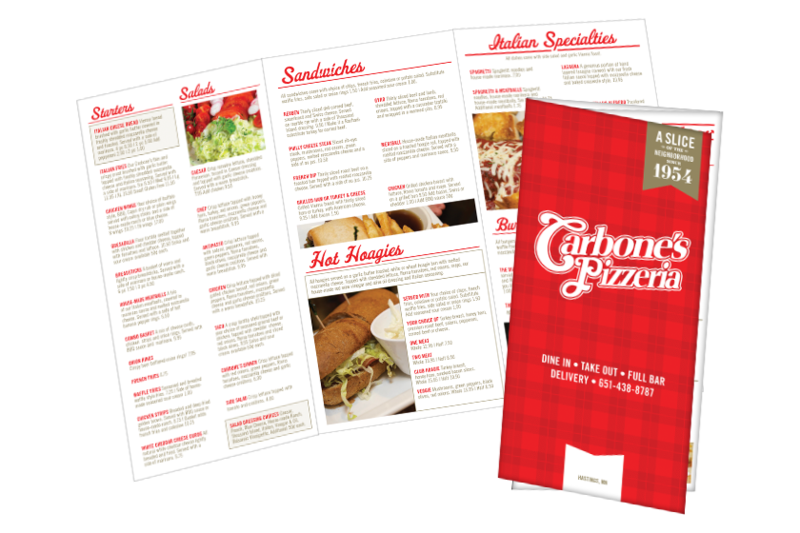 Design and print a pizza menu that clearly outlines your pizza choices and promotes your pizza gift cards. Make sure not to clutter your content, you want your customers to be able to easily scan through your menu. And why stop there? 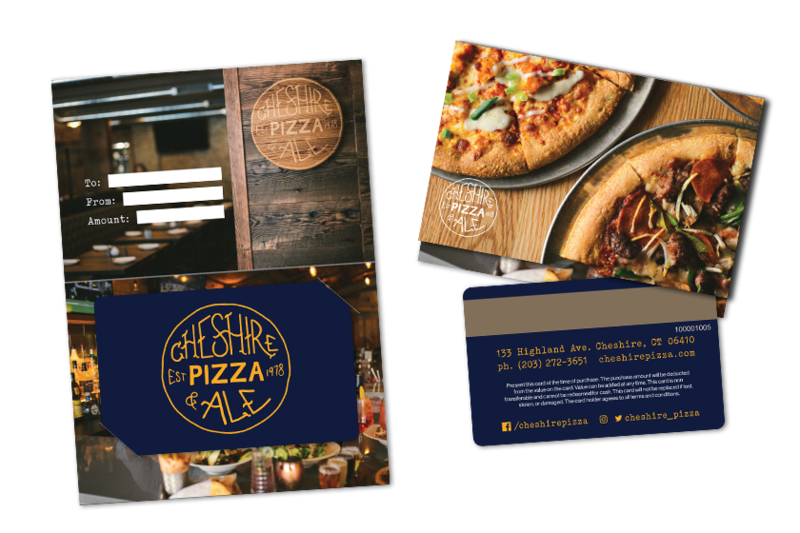 Complete your pizza marketing package with custom coasters, pizza rewards, key tags, and other signage. These products help support a great customer experience and serve as mouth-watering reminders of the delicious food you serve. Are you a multi-location or franchise restaurant? Smart Connect: Restaurant is an effective method for ordering and tracking menus, pizza gift cards, coasters or other table signage across multiple pizza restaurant locations. Whether you are a franchise or single location pizza shop, we have a solution for you. Have questions about how these marketing tools will fit with your business? Contact us today, we are ready to help!